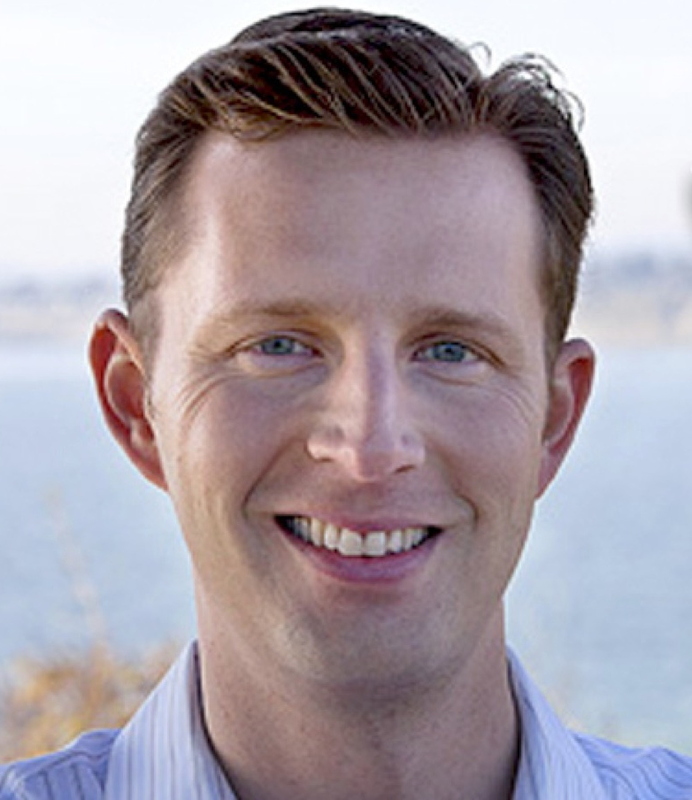 Have you been waiting to see 2nd District Supervisor Zach Friend finally get his comeuppance? Then you’re in for a treat! The Capitola-Aptos Rotary Club is putting on a Zach Friend Dinner and Roast on Friday, May 5th 2017 at the Seascape Golf Club. This event is a fundraiser for Leo’s Haven at Chanticleer Park, a new playground uniquely designed to provide all children access to the benefits of play while teaching the vital lessons of compassion, awareness, and acceptance. The presenters for the evening include Rick Martinez, Supervisor Bruce McPherson, Steve Allen, and some un-announced special guests as well. The dinner costs $150 per plate, and all proceeds will benefit Leo’s Haven. To RSVP for this event, please contact Al DeCamara at (831) 688-0500 or email him at al@decamaramangement.com. The Capitola-Aptos Rotary Club is no stranger to celebrity roasts – they know how to do them right! It will be a fun-filled evening that won’t disappoint, and your participation will go a long way towards creating the first fully accessible playground in Santa Cruz county. In the ninth and final segment of our Zach Friend Interview Series, the Supervisor talks about the Aptos Village Project. Zach stresses that the county’s role in the project at this point is very specific, focusing primarily on traffic improvements such as new signal lights, sidewalk, widening Soquel Drive, installing a dedicated left turn lane, and crosswalks. These will be some of the first changes we’ll see in the Village, and it’s just the beginning of a multi-year process. To the greatest degree possible, the county and the developer will provide information to the community proactively so people can plan accordingly. We hope that you have enjoyed all these segments of our Zach Friend Interview Series! In the eighth segment of our Zach Friend Interview Series, the Supervisor talks about housing affordability and what needs to happen to improve it in Santa Cruz county. According to Friend, too many people live in substandard and overcrowded housing conditions, and it is simply unacceptable for this to be happening in a place and time as wealthy as we live in. The Supervisor notes that if current trends continue, there will be more renters than home owners in Santa Cruz county in a couple of years. He remarks that many of today’s problems with traffic can be attributed to the fact that most of the new housing in the county has been built in the southern portion of the county, but most of the job growth has been to the north. While the county does not build housing, what it can do is facilitate an environment where housing can be built that fits the present-day and future needs of Santa Cruz county. The Supervisor also discussed redevelopment of the Par Three Golf Course and the Poor Clares property as well, as there’s been some talk in the community over the years about these properties. In the ninth segment of the interview, Supervisor Friend wraps up our interview and discusses the Aptos Village Project. In the seventh segment of our Zach Friend Interview Series, the Supervisor talks about Fiber Optic Broadband Internet which will be publicly financed. Zach Friend mentions that the first legislation he brought forward upon being elected was a “dig once” policy to require notification to all utilities when a road would be dug up, so all concerned parties could do whatever work they needed to do at the same site, at a fraction of the cost. The Santa Cruz Fiber Optic Broadband project is part of the Sunseys project. Every 1600 feet, any Internet provider will be allowed to break into the line to provide “incredibly” high speed Internet to any customer. Providing ultra-high speed Internet to residents of Aptos and Santa Cruz county is very important as it will enable high-tech Silicon Valley companies to open satellite offices here in Santa Cruz county, allowing many workers to stay locally and off the roads. This project has already gone through all the environmental impact reports and is now in the permitting phase. In the eighth segment of the interview, Supervisor Friend talks about the lack of affordable housing in Santa Cruz county, and what can be done to improve the situation. In the sixth segment of our Zach Friend Interview Series, the Supervisor talks about the Sustainable Santa Cruz County plan. The Supervisor says that the county has been trying to look for new ways to do a lot of things. How can we manage growth in Santa Cruz county in better ways to create a more livable and sustainable community – while respecting Measure J, the growth management plan passed in 1984. The Sustainable Santa Cruz county plan will direct the quality and direction of development in Santa Cruz county for years to come: what kind of new housing should we create, and where should we create it? The same questions go for jobs – what kind of new jobs do we want, and where do we want them? How can we create live/work environments, and how can we take cars off the roads? Zach touches on all of these in this segment of the interview. In the seventh segment of the interview, Supervisor Friend talks about the upcoming Fiber Optic Internet Broadband Service which should be reaching customer doors toward the end of 2017. In the fifth segment of our interview with Supervisor Zach Friend, we discuss Santa Cruz Passenger Train service and the Santa Cruz Rail Trail. This is one of the longest segments in our interview, clocking in at over seven minutes. It’s a fairly wide ranging discussion in which the Supervisor talks about the hurdles to establishing passenger rail service, or removing the rails and proceeding with a trail-only solution as some in the community have advocated for. Whether you’re pro-train, anti-rail, or still haven’t made up your mind, you will find this segment very interesting to watch. In the sixth segment of the interview, Supervisor Friend talks about the Sustainable Santa Cruz plan, and the overall economic vitality plan for the county. In the fourth segment of our interview with Supervisor Zach Friend, Zach talks about the tremendous challenges we as a community face with our transportation. He talks about the need for Santa Cruz county to become a “self help” county when it comes to transportation. He says this is the only way that the county will be able to attract outside dollars (from the State of California and Federal government) for our much-needed transportation projects, such as widening Highway 1, Santa Cruz Metro, the Mar Vista Pedestrian Bride, and the Santa Cruz rail corridor. In the fifth segment of the interview, Supervisor Friend talks about establishing passenger rail service along the Santa Cruz Branch Line rail corridor, and the construction of the Monterey Bay Sanctuary Scenic Trail Network. Get your Zach Friend Yard Sign! We’re sure you’ve noticed that it’s Election Time again! Heard about Donald Trump? Bernie Sanders? How about Zach Friend? Zach also has a lot of support from your friends and neighbors here in Aptos. If you’re a Zach Friend supporter, why not tell the world? If you live in the 2nd District, we can arrange to have a Zach Friend for Supervisor yard sign delivered to your home. Just text your name and address to (831) 704-6873 or email the same to me at broker (at) RealtyVirtuoso.com and we’ll drop one off ASAP. In the third segment of our interview with Supervisor Zach Friend, Zach talks about what his second term goals are. He cites a lot of unfinished business from his first term, especially on the infrastructure side. Roads, traffic, and transportation financing are problems he feels need to be addressed in a multitude of ways. In the interview, Friend notes there has been a significant cultural shift in the county in recent years with three new members of the board of supervisors. Zach says the county too often has been in the business of saying no, but now we need to find a way to say yes to ways to address a number of problems facing the county while still staying true to our values and the character of the county. In the fourth segment of the Interview, the Supervisor talks about what can be done to improve transportation in Santa Cruz county, which is a hot-button issue for virtually everyone. Zach has a lot of interesting things to say on the topic, so be sure to watch this space for that!